One day, my parents came to me and said, ‘We have found a man for you.’ I knew they were looking to get me married, but I never thought it would be so soon. I hoped the man was in our village. I did not want to leave my parents behind, but it turned out, he lived somewhere else. At the time, we were never given much of a choice. If parents liked the boy, they would get you married. I hoped I would like him. And I did. Our love was arranged. It grew stronger through the years, but I’m afraid love is not enough to save my husband. Nagaraj and I ran a roadside store, until 2 years ago. We were going back home on the scooter, when I heard a popping sound. Suddenly he lost control of the vehicle. We almost fell. He was screaming in pain. He said the bone broke on his left arm. His shoulder started swelling. We immediately went to a bone doctor. I thought it was a fracture or sprain. The doctor should have told us to get an X-ray. Instead, he sent us for an MRI. When that came back, he asked us to go to Manipal for more tests. My husband does not really know what happened next. I was sitting as the words sunk in. 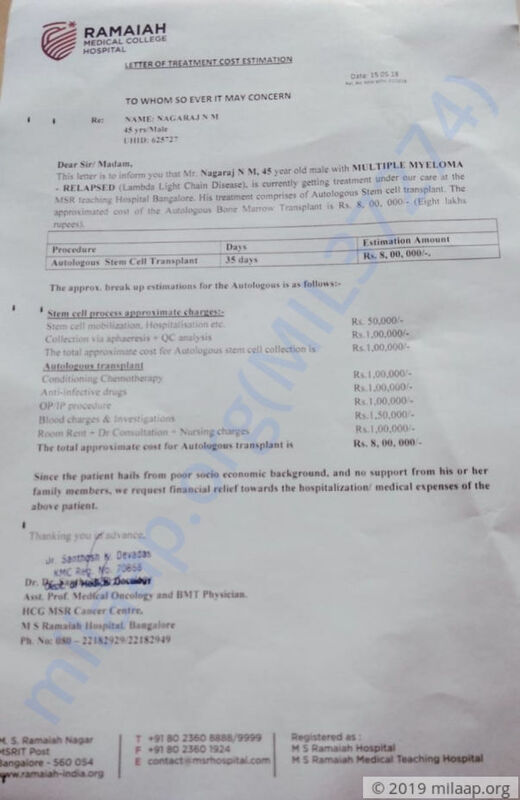 He has Multiple Myeloma, cancer of the white blood cells. It damages the bones, blood, immune system and kidneys. It had already gotten to a terrible stage. My husband does not know he has cancer. He thinks weakness and age got to his bones. From Manipal, we went to MSR. We had to start chemotherapy immediately, but we had no money. We said we will come back with money and never went. This ended up costing us more. When his fever and pain got worse, we decided to whatever we could. We sold our government granted land, and with rest of our savings, went back for chemotherapy. 24 cycles over one year, and I thought cancer would go. 3 months ago, the symptoms got worse. 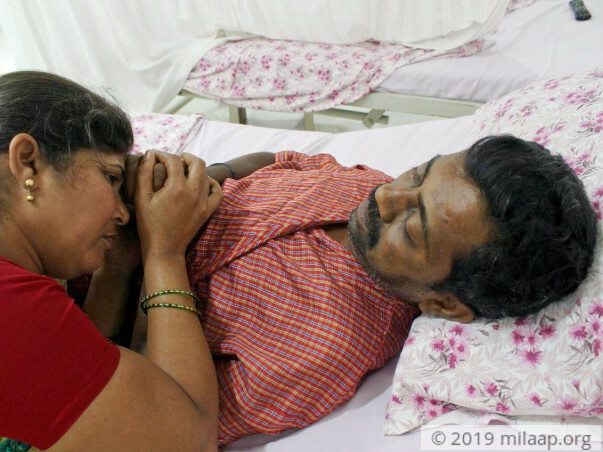 Constant vomiting, pain, and so much fatigue that Nagaraj is bedridden. We did not go to the hospital because there was no money left. My children are still studying. We thought we would have to sacrifice their education for the treatment. When it looked like my husband would die, we rushed back to MSR. The doctor was so concerned. He advised us to start chemotherapy again. The hospital also helped us with the funds. 18 cycles later, we discovered that he needs a stem cell transplant to survive. We spent 4.5 Lakhs. That is all we had. We are borrowing money and selling everything we own, just for house expenses and children’s school fees. Now this transplant will cost Rs. 8 lakhs. The hospital is doing everything they can to help us in this situation. I cannot imagine a life without my husband. Our children cannot lose their father. My love cannot even ease his pain, how will that be enough to save him? If he dies, my entire family will follow him. Saraswathi is taking care of her husband day and night. When she can, she tries to do odd jobs to get money for treatment. 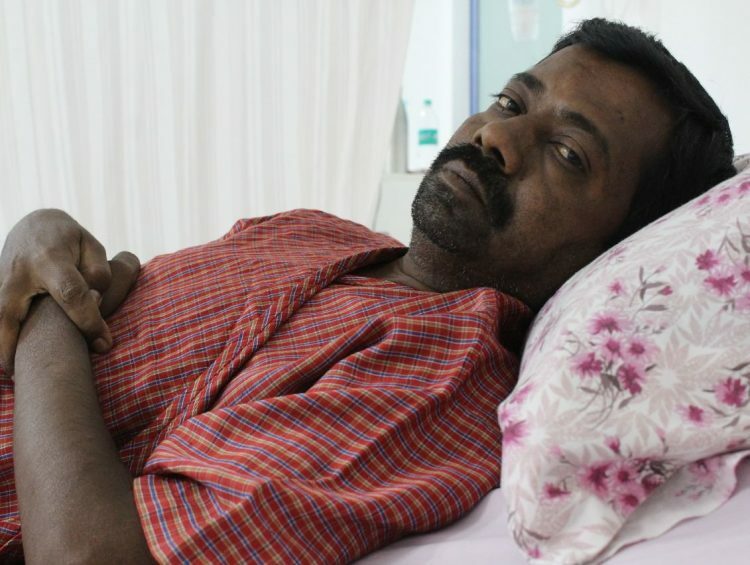 Nagaraj needs a stem cell transplant within weeks, and they need help to fund it. 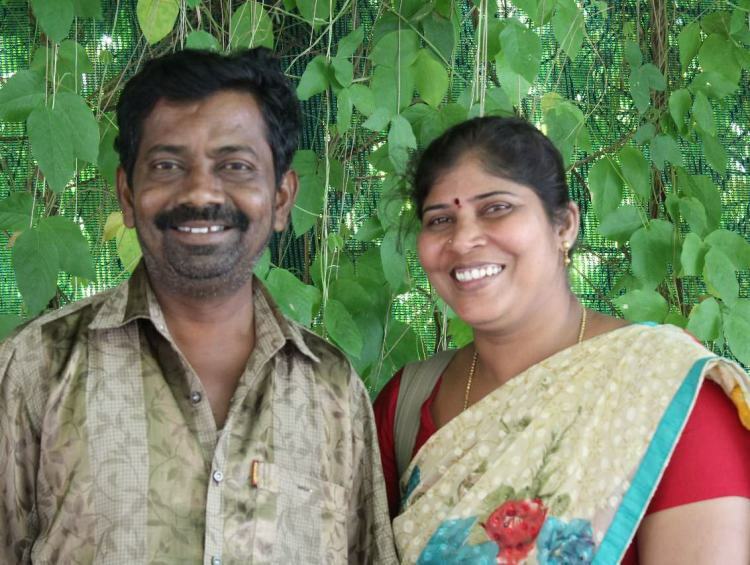 Saraswathi would be forced to see her husband succumb to cancer, if they cannot raise funds in time. Your contribution can save this couple’s life. 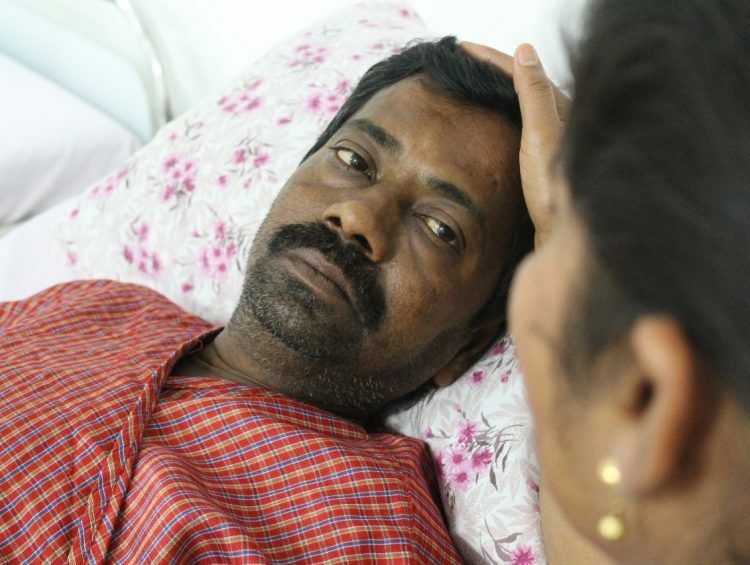 Nagaraj is getting discharge today since he has completed his BMT Procedure . He is coming back next Manday for first post BMT Follow up . He need to be in regular follow up for minimum 6 months . 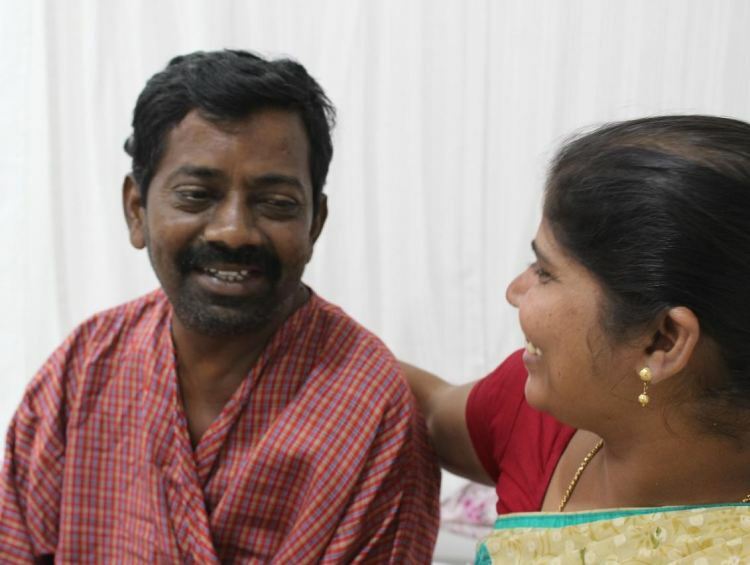 Nagaraj is on Day +11 of stem cell transplantation . He is under engraftment observation for another a week . His WBC count as of now is 2.780 and platelets counts are 21, 000. He is with neutropenic diet also. We will keep you further posted on his treatment. Patient is under BMT day +1and stem cell transplant has happened on 21st June . He will be in observation for next 15 days.